Sydney Shop Girl: Transitioning Into Winter. And Suddenly, Everything's Roses. Transitioning Into Winter. And Suddenly, Everything's Roses. It's not something that happens very often, if at all, but Kim and I shared a moment this week. And the proof is in this meme I found on my Facebook feed. Isn't it reassuring to know that celebrities really are just like the rest of us? In between having extreme weddings and uploading ground breaking selfies on social media. Too loose or too tight hair elastics aside, I hope you're having a good first week of winter. I've had a few winter firsts already this week. The first frozen cheeked dash to the car from the warmth of the house, the first night I've had to sleep with the heater on and the first morning where I had to dash to the gym wearing track pants over my training gear. Which brings me to the question of tearaway track pants. The pants that basketballers wear to their game before dramatically whipping them off Magic Mike style from the sidelines as they run onto the court. Well, I want a pair. Only they don't make them for shortish ladies like myself. You can get harem style track pants and track pants with legs that you can zip off from the Adidas Australia website but sadly, no ladies tearaway track pants. Perhaps I am alone in my need for them. I think a little browse on Ebay might be in order or else I could go all Project Runway on my existing collection of pants. The first flush of winter has seen me dust off quite a few pairs of shoes that were forgotten in the fashion Siberia that was my maternity leave. These Mary Janes by Camper are one of my favourite pairs of shoes for work. They have non slip soles, fit like a glove and have that trademark Camper quirkiness with the detail at the heel. Campers also appear to be indestructible, even when they're on my feet. I still have and wear the first pair I ever bought. They're red and form two halves of a flower print when you stand with your feet together. I bought them in Melbourne. I remember the store being housed inside a magnificent restored building whose name escapes me, the store fronts inside were all simply but visually striking sheets of glass. 'Twas somewhere in the CBD. After years of trying to be responsible, I caved and bought the two Jo Malone Cologne Intense perfumes that have been on my wish list ever since the range was released in Australia. They currently retail for $230 AUD but over at the new DFS at the Tom Bradley Terminal of LAX, they work out to be around $150 AUD. Either way, though, I've still spent my perfume budget for the next five years. Just as well I adore both fragrances enough to wear them continuously until 2019. I've been wearing Velvet Rose and Oud all week (just to get my money's worth). I'm not usually a fan of rose based scent but such are the persuasive powers of Jo Malone that I've done a complete about face and become a rose lover. The fragrance notes paint the picture of a 'Darkest damask rose, rich and textural. Spiked with clove, decadent with praline. Magnetic'. 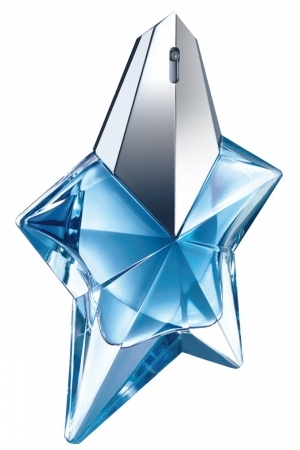 In plain speak, it's a more understated Thierry Mugler Angel. For the person who would wear a leather jacket rather than trousers to work. It's the mystical English rose scent that a Bronte heroine might have chosen to wear. And it's also perfect for winters in present day Sydney. Are you a Cologne Intense fan? Which is your favourite? I love Campers too! The only pair of shoes I ever buy that do not need breaking in, and are completely comfortable even when on your feet all day. If I ever do find those track pants, I'll be sure to wear them only under the cover of darkness. I do see your point! The first pic made me giggle so much! I often end up wearing my hair ties around my wrist so when I often don't realise until I go to use them that I've stretched them out so much they are useless..haha. And the perfumes sound lovely! I've been neglecting my perfume collection sadly as even my favourite every day perfumes smell really weird to me during pregnancy. I just use lots of deodorant and hope no-one notices I'm scent free! Isn't the world a better place when we're laughing with the Kardashians? So jelly that you actually own a pair, M!